Well I can not believe August is almost over, where did the time go? I know I spent a great deal of it training for my next race in 9 days (yikes) and I celebrated my 25th anniversary but I want my summer back, it went too fast. 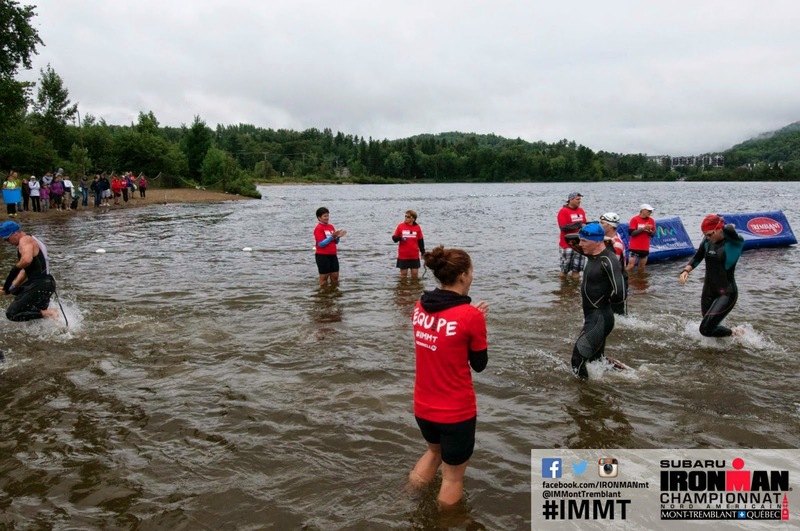 On August 17th we headed to Mont Tremblant to watch some friends do the Ironman and to volunteer. We were at a run station last year and this year we would be at the swim start. I wanted to be a wetsuit stripper but we were on the wrong team so I opted for my second choice and stood in the water, cheering on the athletes as they exited the swim. It was great but the weather was not optimal and the air temps were colder then the water. After we warmed up we headed to the bike turn around to watch the athletes and cheer on our friends. Later we moved to the run course and saw the lead men and women finish and saw some amazing athletes, one lady doing the marathon in a boot and she finished. We stayed to watch our friends finish and headed back to our B&B, we ever up at 3:30am to get to the beach so it was a long day. The next day, at 9am, we were in line to register for next year, both of us! So proud and happy that Neale signed up as well, he is such an amazing athlete and will kill it next year. After we got back home, I knew my bike would not do for a full IM so I started looking around for a new ride. 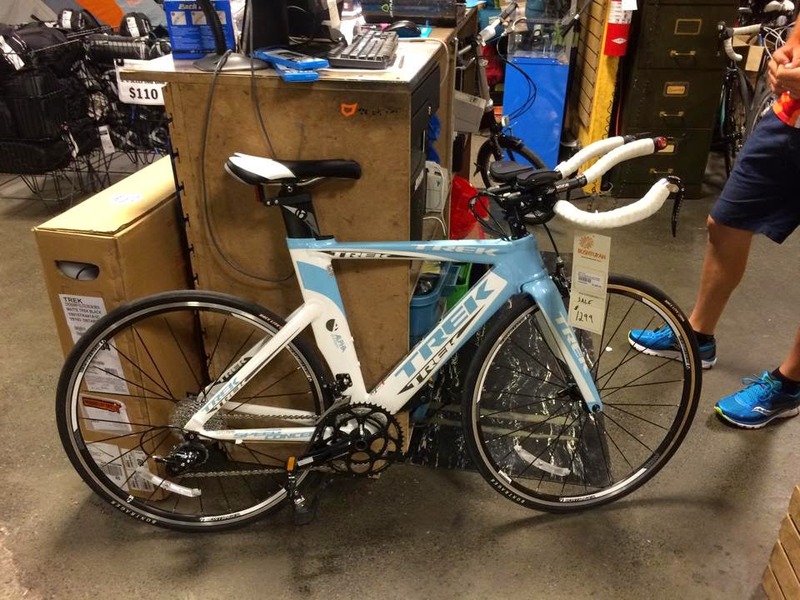 I had a limited budget so I was looking at a road bike and not a tri bike. A friend suggested I at least see what frame size I was for a tri bike as you can get some good deals second-hand. I called a local bike store that had a bike I liked to see if they had any small or extra small tri bikes in stock and they had one extra small of my dream bike, marked down to $1299. I could not get to the store fast enough to try it out and it was a perfect fit. I did not try it out too much, I trust my gut and this bike was made for me. Meet Skyrider, my new bike. I have an appointment to get fitted at the end of September and then we will be spending long hours on the trainer together this winter. I had been admiring this bike on the website for months but the $1999 price was more then I could afford and they just marked it down that morning, I know it was meant to be and Skyrider and I will have many great races together in the future. I am taking my current bike, Ella Blu, to my next race, it will not be our last I am sure and I look forward to sharing the 94km of hills in Muskoka with her. So I knew my big race for next summer, time to add a few more and to have a meeting with my coach. I lost my confidence a bit this summer, my disastrous half marathon in May and my less the stellar 70.3 in Tremblant sure did a number on my head. While I am not back to full confidence, I have a renewed sense of enthusiasm towards my training and I am ready to get this done. I trained well this summer, I worked hard but I know I could have done better but you can not cry over spilled milk and you have to let it go and move forward. This next year will be a crazy ride but I am not afraid of hard work, I have the determination to finish what I have started and awesome friends and husband to support me. 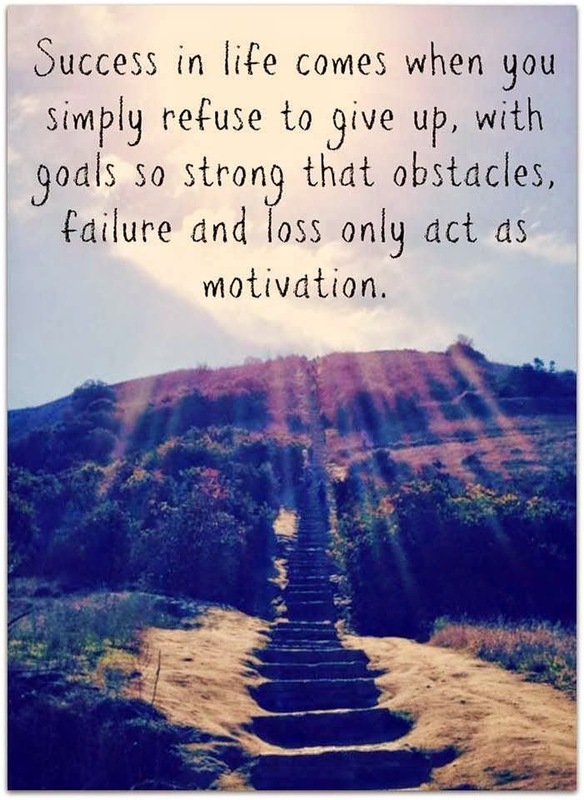 They can not do it for me, I have to do that and I am ready, ready for the good days and the bad days, the sore muscles and overwhelming tiredness that is to come, I AM READY so let's do this.